Christmas is over, and I’ve been sorting through greetings cards received from family and friends. I was taken with a card, on the front of which there’s a reproduction of a painting by Derek G. M. Gardner of the tea clipper Spindrift. 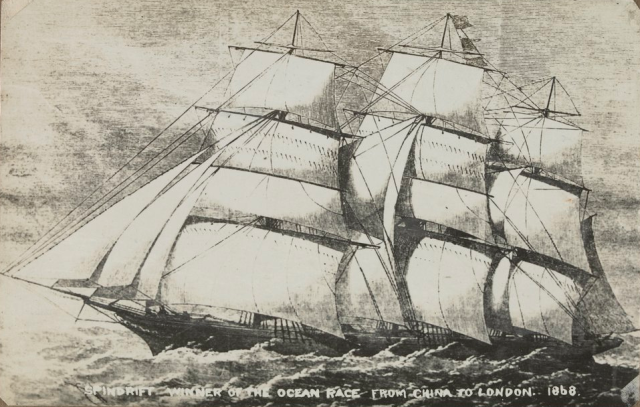 She is shown running before heavy seas as she leaves Foochow, bound for London in 1868. Taking only 97 days to complete the voyage, she was deemed to be the fastest clipper that year, having taken less time than Ariel, Sir Lancelot and Taeping, all of them setting out a day before her. 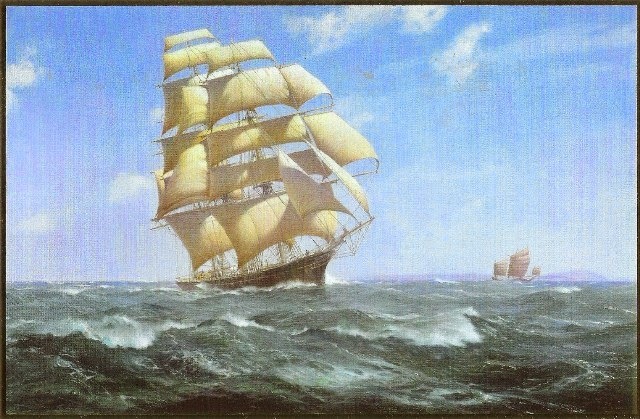 Gardner’s oil painting, ‘Power and Glory’, portrays Sprindrift under full sail, gloriously running before the wind, and a Chinese junk making to windward. The state of the water would indicate a good Force 8 or more, which begs the question, why is the junk not reefed? 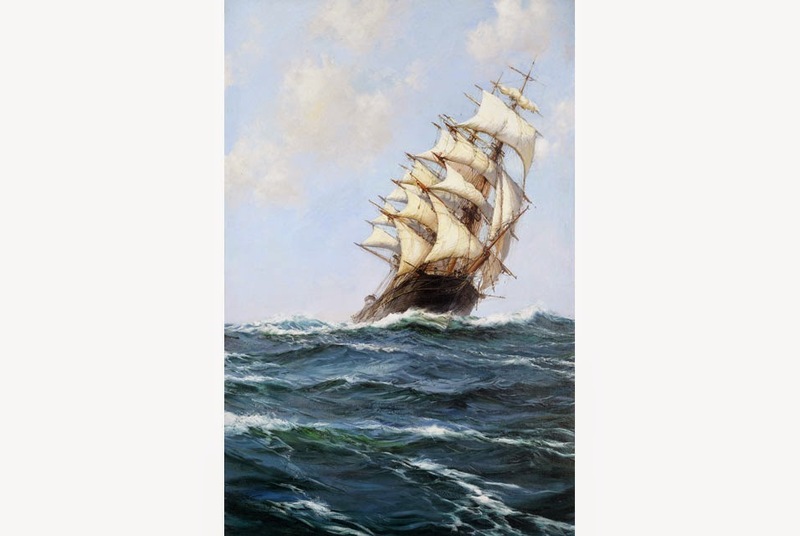 Assuming Gardner’s painting represents the truth, Captain Middleton, master of the vessel, must have felt supremely confident to carry full sail in his endeavour to beat his rivals. Without examining his logbook we shall never know.